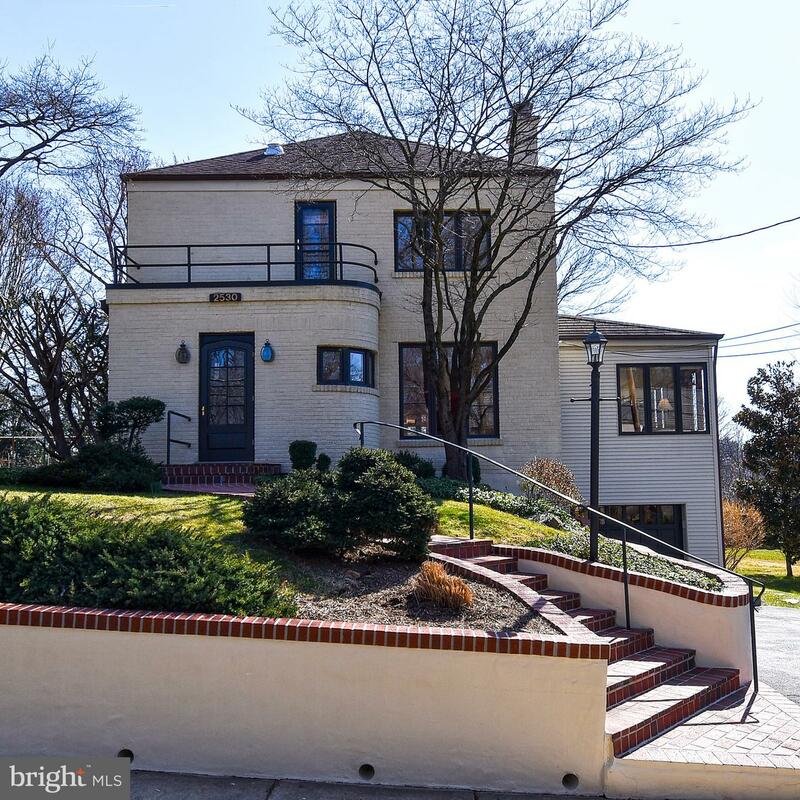 One of the finest examples of pre-War Art Deco Streamline Moderne style in Arlington. A dramatic curving facade and long nautical balcony accentuate the front of the structure. Fabulous inverted boat hull arches, integrated custom wall sconces, Deco wall relief elements, and original acrylic and wood trim accents highlight the interior. Abundant light, renovated bathrooms, and a generous deck overlooking the large flat backyard. Main level bedroom and full bath, together with walk-up basement with dedicated entrance, add lifestyle flexibility. A spectacular stylistic gem in a perfect location. Nestled on a no-thru traffic street in the North Arlington neighborhood of Woodmont, directly across from the beautiful and historic Fort C. F. Smith Park, one of the original Civil War fortifications built under President Lincoln. Only 1 stop light to DC, yet a world away. Just off a bike trail that takes you to Georgetown, Clarendon, and Arlington's top schools. A short walk through the park to the Potomac Heritage Trail. It all adds up to one of the best offerings in recent memory. PHOTOS AT VIRTUAL TOUR LINK.